An electromagnet is a current-induced magnet. The basic setup is an electrical current circulating around some magnetizable material, such as an iron rod. 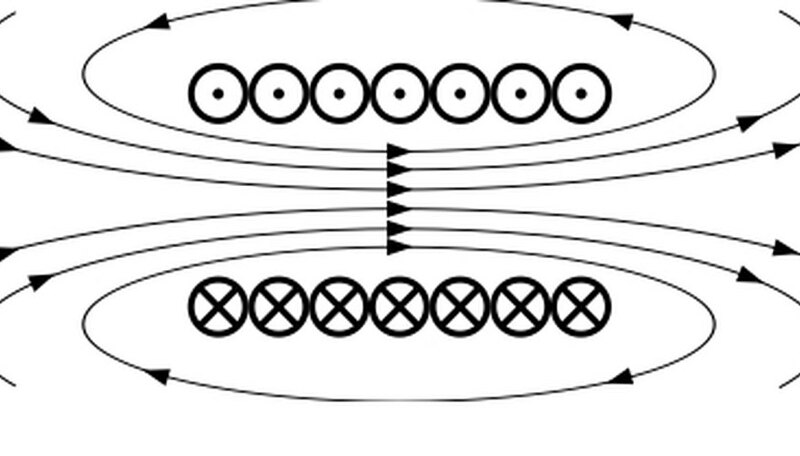 The current and number of times the current circulates around determine the magnetic strength. Therefore, the same things that strengthen a current are the same things that strengthen an electromagnet. As current runs through a straight wire, a circular magnetic field is generated around it. When a wire is made into a circle, the current generates a magnetic field parallel to its axis. If you pile loops on top of each other, as in a coil or solenoid, you increase the magnetic field strength. The formula for the magnetic field inside a coil is the current multiplied by the loop-count density multiplied by a constant. 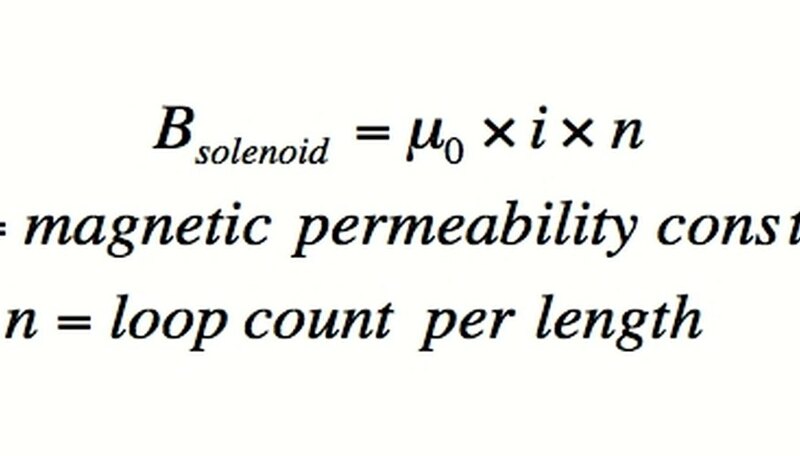 By the magnetic field equation inside a solenoid, increasing the number of turns per unit length (n) of the wire around the magnetizable material will increase the magnetic field applied to the magnetizable material. Increasing the magnetic field applied to the magnetizable material in turn makes its own magnetic field stronger. Similarly, wrapping with thicker wire has the same effect, but by increasing the current. Like a widening river, a thicker conductor allows more current through. Another way of increasing the current is to reduce the resistance. 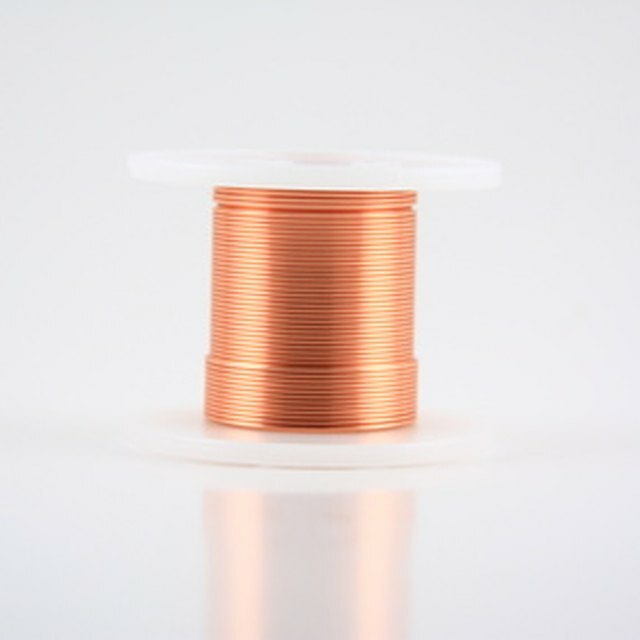 A more conductive wire could be used, or the circuit can be shortened between the electrical source and the magnet. Another way of increasing the current is to use a higher electromotive force, or voltage. The relevant formula is V=IR, the definition of resistance. If V is the drop in electric potential over the entire circuit, and R is the resistance over the entire circuit, the current (I) through any point of the circuit can be increased by an increase in the applied voltage. If the circuit is powered by alternating current, another possibility is to switch to direct current of the same voltage. The reason that a direct current is superior is because an alternating current switches the magnetic polarity of the magnet before it has time to build full strength. Dohrman, Paul. "Three Ways to Make an Electromagnet Stronger." Sciencing, https://sciencing.com/three-ways-make-electromagnet-stronger-5498690.html. 17 April 2018.